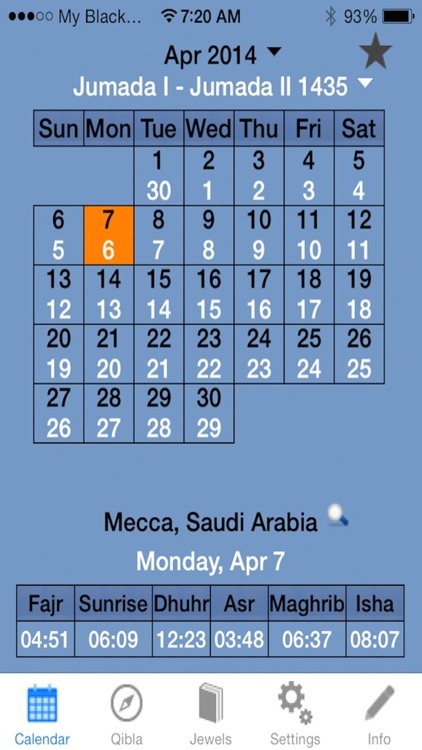 This is a lite, simple, useful App in English and Arabic, designed for the Ummah, to view the Islamic Calendar (Hijri) dates and their corresponding Gregorian Calendar dates for any given year. It also precisely determines the Qibla direction from any location around the world and calculates the prayer timings for the selected location. The most remarkable and distinguishing feature of this App is it’s size. 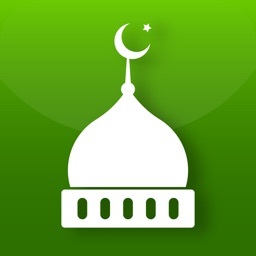 All the basic important functions of an Islamic calendar are embedded in this App occupying a very nominal space. 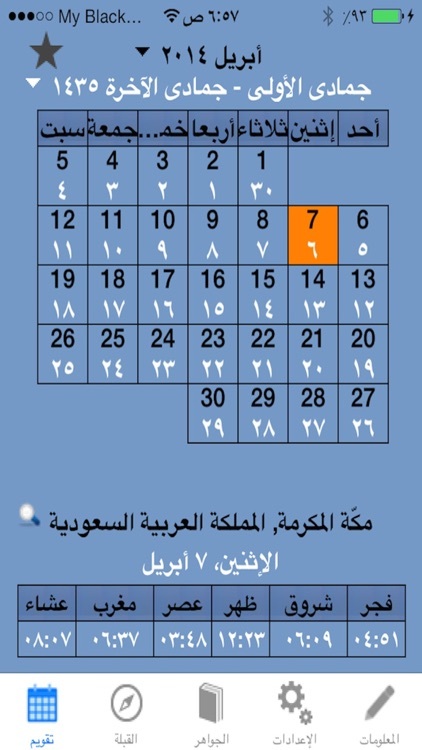 - Displays Gregorian and corresponding Islamic Calendar dates, while always highlighting the current date. - Displays a list of important Islamic events for any year. 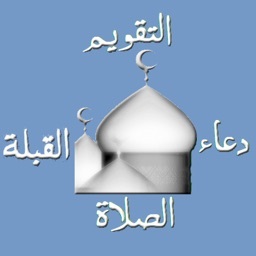 - Allows the user to search for the Islamic date for any month and year, past or future. - Displays prayer timings with respect to selected location, day, month and year. - Always highlights the current prayer for the current day. - Automatically detects the current location and also allows the user to search for locations. - Saves 5 recent locations by default. 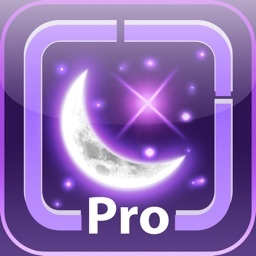 - Automatically determines the current location and points to the direction of the Qibla. - Displays your distance from the Holy Kaaba. - Displays angle of the direction of Qibla from North. 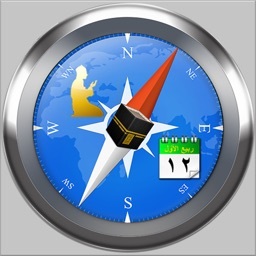 - Always displays the Qibla direction for current location. 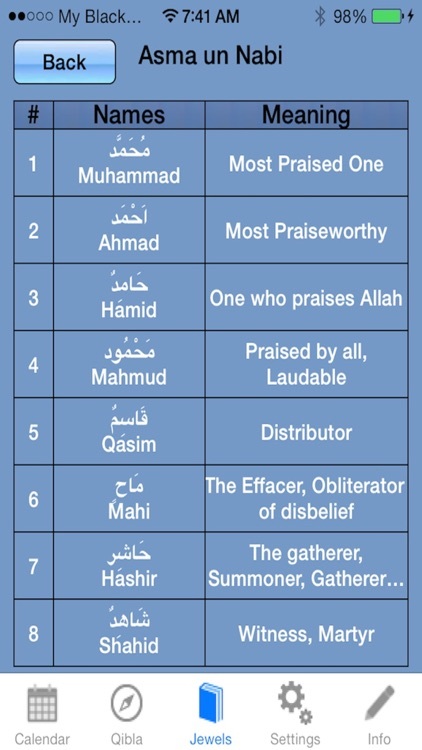 - Displays Asma-ul-Husna (99 Glorious Names of Almighty Allah) in Arabic and English with meanings. 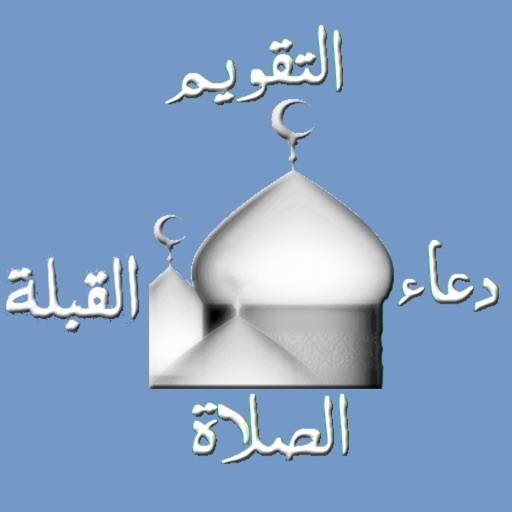 - Displays all Quranic Duaas in Arabic and English. - Displays 40 Hadith Qudsi in Arabic and English.